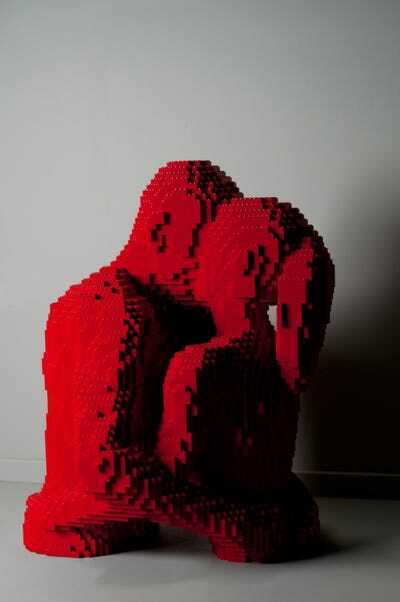 Courtesy The Art of the BrickLego artist Nathan Sawaya. 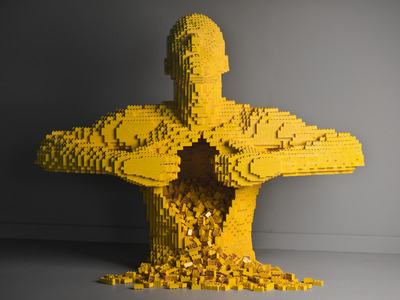 Since then, Sawaya’s work has travelled the globe in the acclaimed exhibition The Art of the Brick. 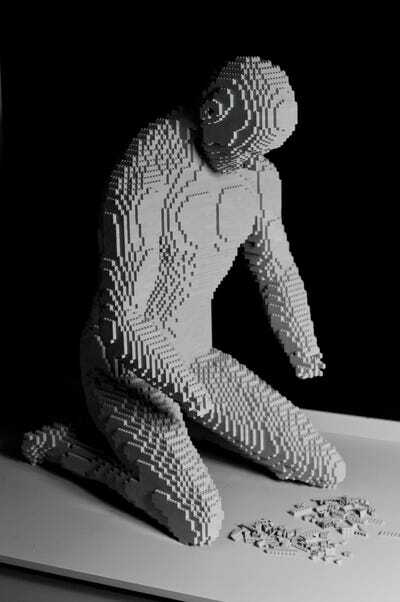 One of his sculptures was featured in a Lady Gaga music video. 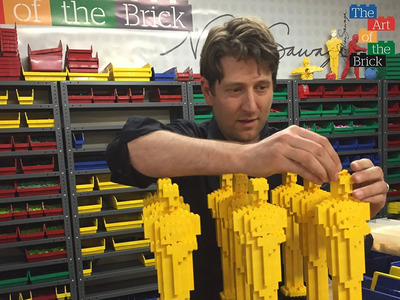 His Lego Oscar statue stole the show at the 2015 Academy Awards. He’s penned two best-selling art books and launched a nonprofit. And he’s still creating new works, brick by colourful brick. Here’s a look at some of his most famous works — and his journey to art world stardom. 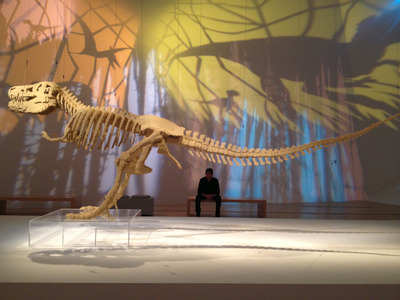 The Lancaster Museum of Art normally gets around 35,000 visitors a year, Sawaya said. His exhibition drew 25,000 people in just six weeks. 'It was mind-boggling,' he said. 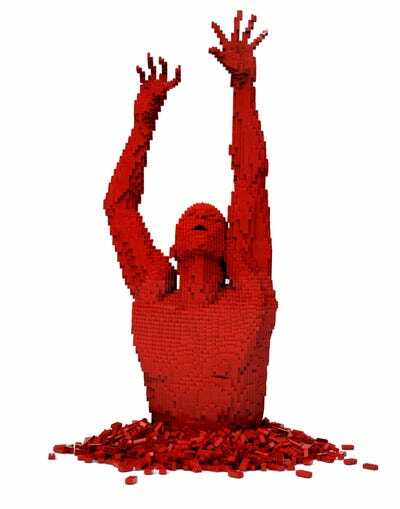 Since then, The Art of the Brick has travelled to 26 states and 14 countries. And there's still plenty to come: The exhibition is scheduled to keep travelling through January 2017 (with more potential shows TBD). By then, Sawaya's art will have been exhibited for 10 straight years. 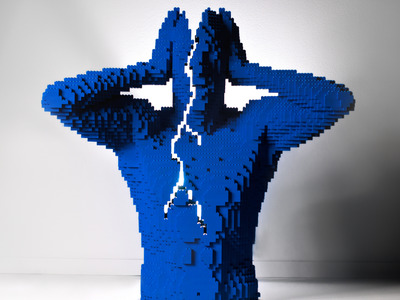 The Lego medium also makes the art more accessible, Sawaya explained. 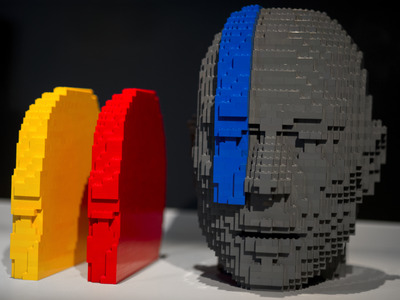 'So many different people in the world have played with Lego bricks, so that really democratizes the art,' he said. 'I have found that museums get grumpy when they open up a box and find a bunch of loose Lego bricks at the bottom,' he said. Now, in addition to being glued, Sawaya's completed works are shipped in specialised art crates by a dedicated team. 'I get tons of emails and tweets from kids who are like, 'I want to be like you. How do I get your job?'' he said.